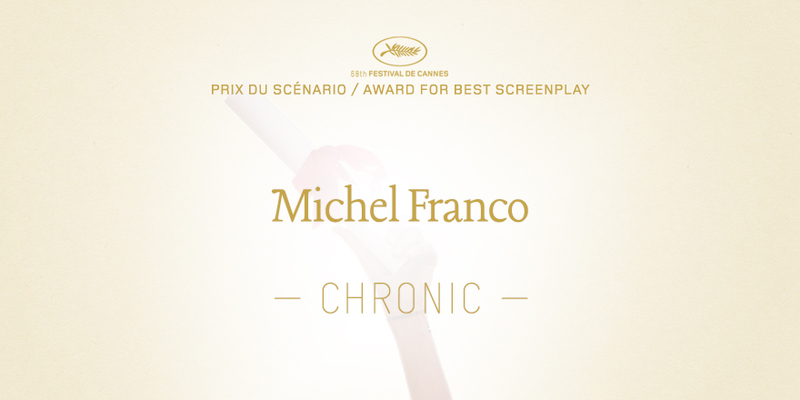 The prize for best screenplay has been awarded to Michel Franco for Chronic. After he had received the prize from Valéria Bruni Tedeschi, the winner declared: " The idea for this film emerged in Cannes three years ago, when I received a prize from Tim Roth. We talked about making a film together, and the result is Chronic ".